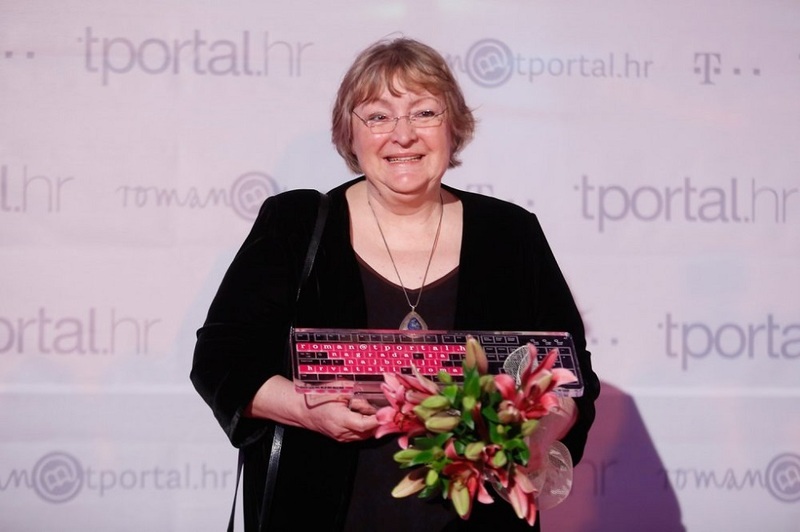 T-portal’s eleventh literary award for the best novel was awarded to the author Dubravka Ugrešić for the novel "Lisica" / "The Fox" (Fraktura, 2017). The jury concluded that Lisica is a masterpiece by this distinguished Croatian master of narration, hailing the awarded novel as “ironic, acerbic and gentle,” “full of references impelling us towards new literary pursuits” and “ennobling its reader”. From Japanese shrines to the village of Kuruzovac, from Boris Pilnjak to the pitiful literary conference tourism, from Nabokov to the culture of narcissism and selfieism, Dubravka Ugrešić managed, in a single text and a single literary world, to supremely encompass the complexity of today’s reality. The Fox is thus, in its execution and its poetics, an entirely contemporary novel that revives some ‘old’ values: first of all the faith in the power of art and the power of the ‘heretics and dreamers’ who – although standing on the margins of society – are the ones creating that art, reads the citation of the jury, consisting of: Ivica Buljan, president, Ursula Burger, Katarina Luketić, Jadranka Pintarić and Miroslav Mićanović.